Huawei’s plans of global dominance recently came to a screeching halt when AT&T reportedly pulled the plugs on its deal with the Chinese company to sell Huawei smartphones in the American market. Not one to be affected by such setbacks, Huawei announced at CES 2018 that it will sell its Mate flagship in the US without any carrier affiliation, but the latest developments brewing on the American soil suggest that it might never happen at all. A new bill set to go before the US Congress seeks to ban government agencies from working with service providers who use telecom equipment manufactured by Huawei as well as ZTE citing security reason. The proposed bill has some deep-rooted history behind it, which certainly has something to do with Huawei’s strong bonds with Beijing and allegations of espionage that go way back. The bill cites multiple claims from esteemed figures like CIA’s former Director, Michael Hayden, who alleged Huawei of sharing ‘intimate and extensive knowledge of foreign telecommunications systems’ with the Chinese government. 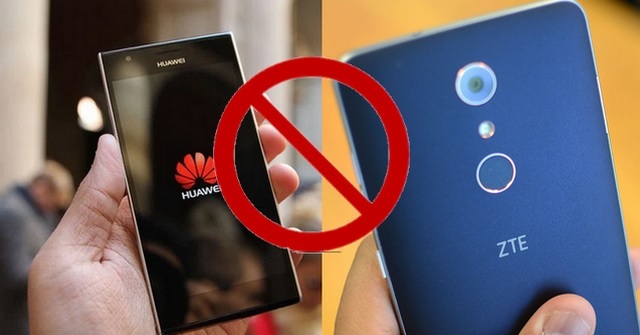 U.S. government systems, particularly sensitive systems, should not include Huawei or ZTE equipment, including in component parts. Similarly, government contractors – particularly those working on contracts for sensitive U.S. programs – should exclude ZTE or Huawei equipment in their systems. Introduced on January 9, the bill will now have to gain the Committee on Oversight and Government Reform’s approval before making it to the Senate. Once the Senate votes in favor of the proposal and the President signs it, the bill will become a law, something that Huawei and ZTE would wish never happens. But the implications of Huawei and ZTE’s telecom equipment getting banned for government agencies would be colossal, as it will be a big hit for both the firms’ consumer businesses in the United States, especially for Huawei, which has worked hard over the past year to establish a US marketing presence, and is splurging on Gal ‘Wonder Woman’ Gadot to promote its new line this year. If the bill is passed, Huawei’s efforts will almost certainly prove to be futile.